The end is in sight! Week 12 saw a fair amount of action at the Capitol. 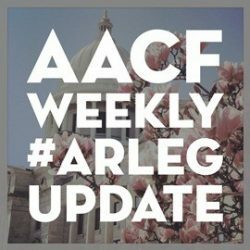 Several committees held their final meetings this week, meaning a number of bills will not progress this session. We expect the next – and final – week to be brief. The Revenue Stabilization Act, which usually signifies the end of the regular session, will be delivered to legislators by 5 p.m. today, and they are expected to vote on it on Monday. This week’s video features Rosa Ángela Velázquez, Advocacy Director for Arkansas United, who spoke with us about House Bill 1684, sponsored by Rep. Dan Douglas. The following bills are still in play, but their passage ultimately depends on when the 92nd General Assembly adjourns. IMMIGRATION: Senate Bill 411, sponsored by Sen. G. Stubblefield, passed out of the Senate today. The bill would prohibit municipalities from adopting or enacting a sanctuary policy. It would penalize any municipalities with a sanctuary policy by withholding discretionary funds or grants from the state while the policy is in place. EDUCATION: Senate Bill 668 was filed on Monday and passed out of the Senate Education Committee on Friday. The bill would allow the State Board of Education to extend its control over a public school district classified as being in need of Level 5 Intensive Support. RESTRICTIONS ON FOOD ASSISTANCE: House Bill 1731 passed the Senate Public Health, Welfare and Labor Committee on Thursday. The bill would deny parents from receiving Supplemental Nutrition Assistance Program (SNAP) benefits during any month in which they are delinquent on child support. It would cut benefits for the entire household, even in if there are children in the home. House Bill 1775 passed out of the Senate Public Health, Welfare and Labor Committee on Wednesday. The bill would expand work requirements for low-income Arkansans who receive SNAP, including those with dependent children older than 6. JUVENILE JUSTICE: House Bill 1755, which limits the use of solitary confinement on juveniles under age 18, passed out of the Senate Judiciary Committee today. Senate Bill 506 passed out of the House Public Health, Welfare and Labor Committee on Thursday. The bill extends the operations of the Youth Justice Reform Board until June 30, 2021. INTERNET SALES TAX: Senate Bill 576 passed out of the House on Thursday and was amended on Friday. It is expected to be signed into law. The bill would require the collection of sales and use tax by certain online sellers, as well as reduce the corporate income tax rates. IMMIGRATION: House Bill 1684 has cleared both houses and will go to the Governor to be signed. The bill requires that students who graduate from Arkansas high schools – as long as they’ve attended at least three years – be eligible to pay in-state tuition prices at state colleges and universities. Currently, some students who weren’t born in the U.S. must pay out-of-state or international tuition prices, even if they’ve attended Arkansas public schools for many years. House Bill 1552 has cleared both houses and will be delivered to the Governor. 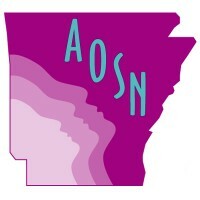 The bill allows the Arkansas State Board of Nursing to issue licenses to people who have completed their vocational or professional course work and who have work permits under the federal Deferred Action for Childhood Arrivals policy (commonly referred to as DACA status). MEDICAID: Senate Bill 99, which allocates funding for the Department of Human Services – Division of Medical Services (which funds Medicaid) passed the House on Tuesday and has been delivered to the Governor for his signature. EDUCATION: House Bill 1409 is now Act 641. 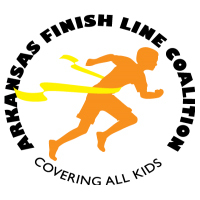 The act requires all elementary school students in Arkansas public schools to have at least 40 minutes of recess each day, and it was signed by Gov. Asa Hutchinson on Monday. HEALTH: House Bill 1263 is now Act 651. The act authorizes pharmacists to dispense nicotine replacement products without a prescription. House Bill 1786 is now Act 676. The act requires schools to report out on exemptions for vaccinations for their students. EARLY CHILDHOOD WORKFORCE: Senate Bill 618 passed out of the Senate Revenue and Tax Committee on Monday and off the Senate floor on Wednesday. It was referred to the House Committee on Revenue and Taxation; however, the committee is not scheduled to meet again during the 2019 regular session, meaning time has run out for this bill. 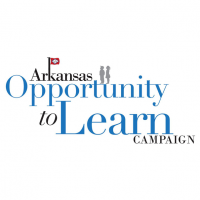 The bill seeks to address the need for high-quality educators for Arkansas children aged 0 to 5 with a four-year pilot program incentivizing early childhood educators to advance their education in the early childhood discipline. The bill would provide a tax incentive for qualifying early childhood program directors, teachers and instructional staff who meet certain criteria. The credit amount would increase based upon the level of education attained. CIGARETTE/E-CIGARETTE TAX: Sen. President Pro Tempore Jim Hendren, sponsor of Senate Bill 571, is moving his bill to interim study. The bill originally sought to increase taxes on cigarettes and begin taxing e-cigarettes the same as traditional tobacco products, with the revenue from those taxes going toward tax relief for low-income Arkansans. VOUCHERS: Senate Bill 539 failed to pass out of the House Education Committee. The bill would have created a statewide voucher program, allowing the use of public tax funds to pay for private school tuition. We do not expect the bill to be heard again this session. MINIMUM WAGE ROLLBACKS: House Bill 1752 failed to pass off the House floor on Monday. We do not expect it to be heard again this session. The bill would cap the state minimum wage at $9.25 per hour for workers employed by businesses with fewer than 25 employees, by nonprofit developmental service providers, and nonprofits with operating budgets of less than $1 million. House Bill 1753 failed to pass off the House floor on Monday. We do not expect this bill to be heard again this session. The bill would exempt employers of individuals under age 20 from the Minimum Wage Initiated Act 5 of 2018. The bill would cap the minimum wage for employees under 20 years to $9.25 per hour, exempting them from the increases to $10 on January 1, 2020 and $11 on January 1, 2021. 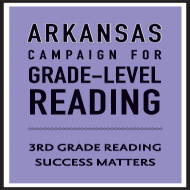 These increases were approved by 68 percent of Arkansas voters last November. HEALTH: House Bill 1821, sponsored by Rep. Murdock, would have required the Department of Human Services to increase rates for some Medicaid providers in response to the minimum wage. The bill failed in the Senate Public Health Committee on Thursday and will not be heard again this session. House Bill 1975, sponsored by Rep. Boyd, was filed Monday and passed the House Committee on Public Health, Welfare and Labor on Thursday. However, there is not enough time for the bill to clear both houses before the end of the session. The bill would have required the Department of Human Services to conduct a Medicaid rate review annually. As the session progresses, we will continue tracking bills that could affect the welfare of children and low-income Arkansas families. Keep an eye on our blog for the latest news and updates, and follow us on Facebook and Twitter for additional thoughts and analysis.